After a sterling win over local rivals Nottingham Forest the Rams are keyed up and hoping to make it a double pride park victory in just six days as they face Sheffield Wednesday. The Owls have had a difficult start to the season and are without several key players as they travel down to Pride Park. Most noted absentee will be striker Jordan Rhodes. He sustained an injury last weekend that is going to need a couple of weeks rest and sees him miss out on the Rams clash. On-loan Rams midfielderJacob Butterfield will also be missing due to contractual agreements attached to his season long loan to Wednesday. Wednesday are further depleted by the surgery on a knee to striker Fernando Forestieri, who will be out till December and George Boyd. 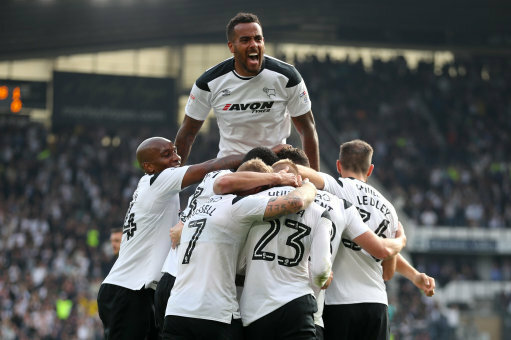 With the Rams full of confidence following their victory over Forest, a game which saw the re-apperance of George Thorne, they must fancy their chances of back to back home wins, something that hasn't happened since 31st March and the 4th April 2017 in victories over QPR and Fulham.